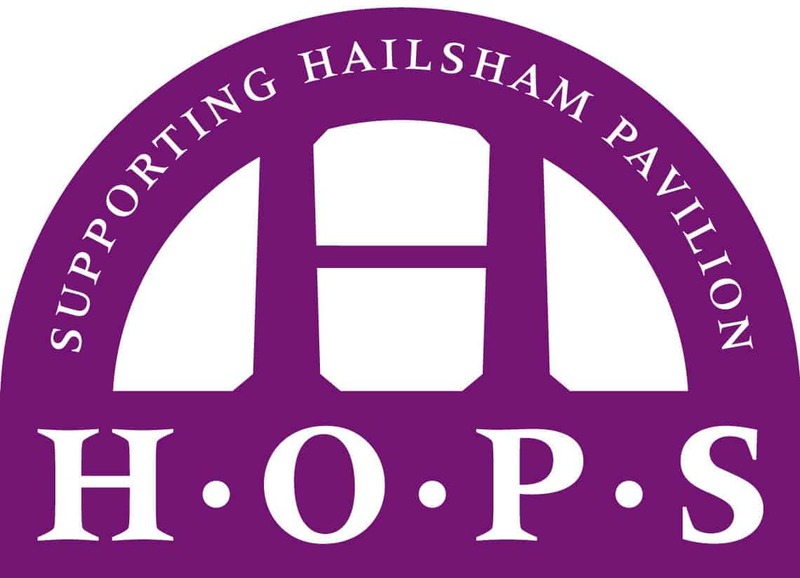 Hailsham Old Pavilion Society (H.O.P.S.) was established in 1993 to raise funds to restore the Pavilion for the use of the local community as a cinema and live entertainment venue. As the owners were in receivership, Wealden District Council issued a compulsory purchase order and arranged for necessary work to be carried out to make the building weatherproof. A 31 year lease was arranged to enable HOPS to bring the building back in to use. H.O.P.S., having already raised almost £100,000 from the local community, were successful in their bid to the Heritage Lottery Fund and were awarded £275,000. Local councils and other voluntary organisations gave a great deal of support. Restoration was completed in November 1999 and the Pavilion officially re-opened in January 2000 under the management of Hailsham Pavilion Limited, also a registered charity. This is not the end of the story for HOPS. The charity continues to work hard to help to pay for the upkeep of the Pavilion; around £15,000 is raised each year from membership subscriptions and through a variety of events organised by the HOPS committee. These additional funds have been used to install digital projector equipment, a computerised box office, and an audio description system for blind or partially-sighted visitors. HOPS has also been able to contribute towards the ongoing cost of maintaining the exterior of the building, installing floodlights, etc. All HOPS committee members and volunteers give their time for free, if you are interested in helping with an event or joining the committee then please contact any committee member. You could also volunteer at the Pavilion itself. How you can help. Become a member and encourage your friends and family to join too. More details on how to become a member are below. Support our events, there’s something for everyone with an annual golf tournament, quizzes, open gardens, and more! We also have an Open Morning at the Pavilion where you can have a look around the projection room and also meet some of the Pavilion staff and HOPS Committee members. Our merchandise is available from The Pavilion and at most of the HOPS events. Use easysearch www.easysearch.org.uk instead of using Google and every time you search the Web, HOPS will receive a donation. It can make a real difference, just 10 searches a day could raise around £20 a year for HOPS. Find us on Facebook. Click here for full details on the terms of the 10% discount for H.O.P.S. members on Hailsham Pavilion cinema tickets. Click here for full details on up coming events. Become a member and encourage your friends and family to join too. Membership donations are vital and H.O.P.S would not be able to continue its work without the generosity of its members. As a member you will enjoy a 10% discount on your cinema ticket. Members also receive a quarterly newsletter ‘Hop Scene’, with information about past and future events, are entered into a quarterly draw to win a pair of free cinema tickets and offered discounts to many H.O.P.S events. Individual Member: £10 per year. Joint Membership (at same address): £15 per year. Alternatively you can pick up an application form at the Pavilion.